Neon colors are vibrant in daylight and glow under black light! * Note: for the neon colors we highly suggest using 2 coats of base coat foundation prior to applying the neon color. 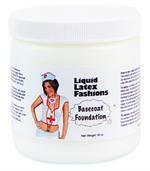 This will allow for easier application of the neon body paint and provide a more vibrant color with fewer coats.